California is a highly urbanized state with an expanding population. Planned landscapes and gardens are essential for Californians to maintain health promoting environments via urban landscapes. California’s urban landscapes are complex plant systems that provide essential functional, environmental, recreational, and psychological benefits for urban residents. In 1995 landscapes covered 1.369 million acres in California, which is the most recent reliable data published. This planted area has undoubtedly grown with population increases since that time. In addition to creating beauty and health benefits, the ornamental plant and tree industry creates and supports many jobs and economic activity within the state. The landscape industry is estimated to have a statewide economic activity well over $5 billion annually, with approximately 60% centered in Southern California. When indirect effects of tourism are included, the economic impact and importance of landscape horticulture nearly doubles. Examples of related employment numbers and their approximate memberships are: licensed landscape contractors (2,500), landscape architects (2,000), sod growers (4), arborists and city street tree managers (800+), urban water agencies (100+), along with urban forestry agencies and groups, irrigation managers and engineers, and municipal parks, planning and public works departments. Landscapes are populated by two major categories of plants: turfgrasses, and woody ornamentals such as trees, shrubs and vines. Turfgrass is the largest irrigated crop in the U.S. with an estimated land cover of 40.5 million acres or nearly 2% of the total area of the continental U.S.. The turfgrass industry in California is arguably the largest in the world with the economic impact from golf alone estimated to be more than $15 billion annually. Turfgrass plays an important role in the landscape and in the lives of Californians. It is aesthetically pleasing and provides a safer, cushioned surface for sports and recreational activities. Turfgrass reduces surface temperature by transpirational cooling. It also lessens glare, noise, soil erosion, and dust thereby reducing air pollution and allergens. Turfgrass provides habitat for wildlife and reduces wildfire hazard. It has been demonstrated to be an effective bio-filter for applied pesticides and nutrients, and for pharmaceuticals and other xenobiotics (substances not normally found) in reclaimed water for irrigation. Turfgrass also helps to remove carbon from the environment. Long-term soil testing data from Colorado golf courses were used to estimate soil C sequestration. Turf on the average golf course in their study sequestered as much as 450 kg (1000 pounds) C per acre per year, which is 1.5 to 3 times greater than soils under agricultural production. Trees are perhaps the most emblematic and valuable individuals in landscapes. In part these valuable landscape elements provide shade, which in turn provides energy savings in shaded buildings. Trees absorb and store carbon and thus play a role in moderating global climate change. Trees also mitigate landscape noise, and provide an aesthetic environment where people live. Unfortunately, the average life span of trees in urban landscapes is only about seven years. Though some studies have called for the survival statistics to be revised upward to 19-28 years, many urban trees still fail to establish or mature to serve their potential landscape functions. Research on sustaining trees in urban environments is more critical than ever as we rely on them for energy savings, carbon sequestration and the other benefits they add to urban landscapes. It is imperative that we find ways to extend the lifespan of these critical landscape elements in urban settings. Jim Downer is a UCCE Farm Advisor in Ventura County. His specialties include pathology of landscape ornamental, Phytophtohora Root Rot, Mulches, Potting soils, Palm horticulture, and Arboriculture. Additional information about his research can be found here. Urban landscapes provide many benefits. 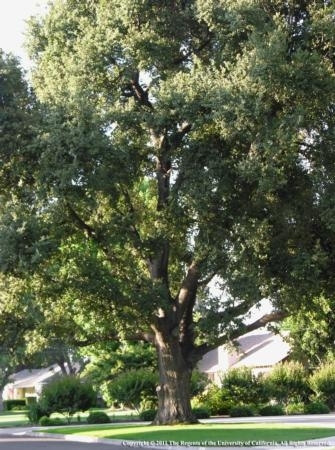 For instance, trees such as this coast live oak lessen noise, can provide energy savings, and absorb and store carbon. Photo by Katherine Jones. The Natural Resource Conservation Service (NRCS) works extensively with the nation’s farmers and ranchers to protect soil, water, air, plant, and animal resources while meeting production goals. Working with agricultural producers allows NRCS to promote conservation practices approximately 1.4 billion acres of the privately held land in the United States. About 92 million acres of land in our country is tended by home gardeners. In an effort to promote conservation on these lands, NRCS has partnered with other organizations to produce, Backyard Conservation: Bringing Conservation From the Countryside to Your Backyard. This full-color and informative online resource highlights 10 conservation activities that can be used in your backyard, shared spaces, and public places too. Trees, shrubs, and other plants can provide homes and food for wildlife. A backyard pond will likely become the focal point for all your backyard conservation. Wetlands filter excess nutrients, chemicals, and sediment and provide habitat for a host of interesting creatures. Composting turns household wastes into valuable fertilizer. Mulching cools, protects, and enriches the soil. Terracing makes flower and vegetable gardening possible on steep slopes. Drip irrigation and other water conservation practices can save water and money. Early detection and treatment of pests means a healthier growing environment. 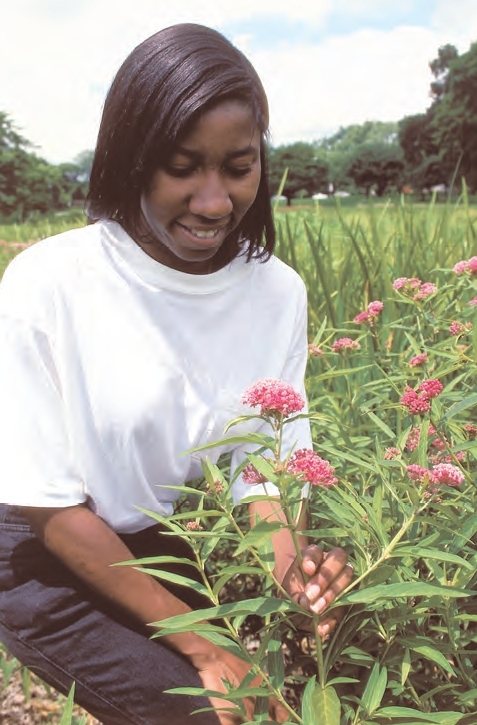 Backyard Conservation from NRCS can help people create beautiful and healthy environments! Photo from NRCS resource. UC’s Nursery and Floriculture Alliance has many trainings scheduled, including several in Southern California. You can find program details on their website. Also on the site, you will find archived presentations available for viewing and links to resources to help growers conserve irrigation water and manage water quality issues. The nursery and floriculture industry is big business in Ventura County. Even after experiencing a decline in sales during the recession, the most recent crop report lists nursery stock as our third highest value crop at $180,057,000 (down from $298,690,000 in 2007-2008). Cut flowers are in the number four spot and brought in $47,348,000 (down from $51,297,000 in 2007-2008). This map shows where these crops are grown within the county. 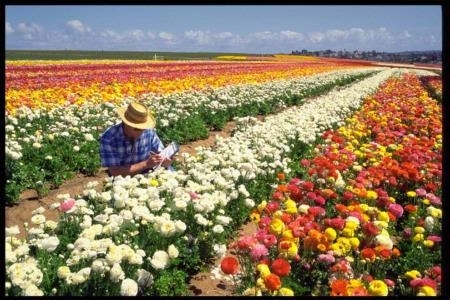 UC ANR has many resources available for the nursery and floriculture industry. Photo by Jack Kelly Clark. Today Supervisor John Zaragoza will present resolutions proclaiming May 2012 as both “Watershed Awareness” and “Water Awareness” Month. There are many events being held around the county this month to celebrate. Santa Clara River events can be found in this Ventura County Star article. 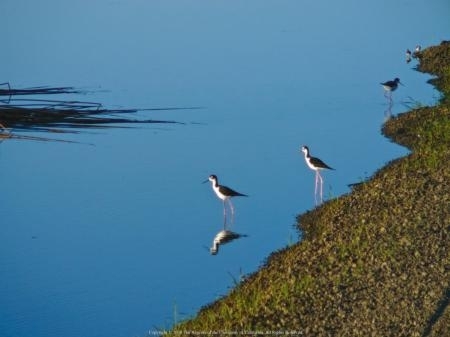 Ventura River events can be found at the Ventura River Watershed Council website. If you are aware of any other events, please contact our office and we will be happy to include yours in a future post. Further information about our local watersheds can be found here. Working together we can all improve our water quality and conservation. Individual actions throughout each watershed impact water quality at the shore. Please do what you can to keep your actions environmentally positive. Photo by T. Harter. The Natural Resources Conservation Service (NRCS) provides many resources for public use. In addition to educational resources, the NRCS has some financial assistance programs available to help eligible landowners and agricultural producers plan and implement conservation practices. These programs address natural resource concerns and include: saving energy; improving soil, water, plant, air, animal and related resources. Additional information can be found on the NRCS website, or by contacting your local NRCS office. Program information is also available in Spanish. 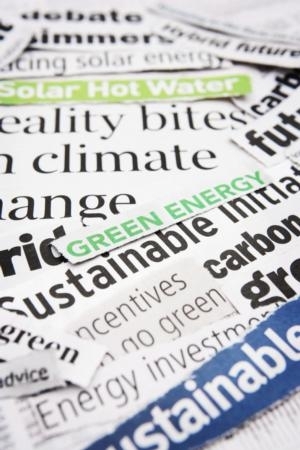 Conservation of natural resources is beneficial to the environment, and can also help the bottom line.